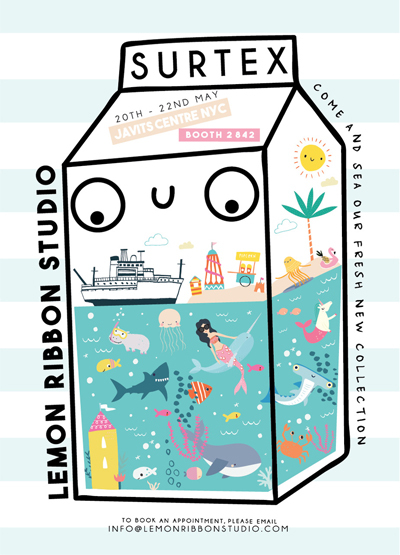 Ed and Aislinn of Lemon Ribbon Studio will be manning the stand this time at Surtex in booth 2842. They have lots of new artworks covering baby to teen, boys and girls. Check out the Lemon Ribbon instagram feed online here.